Well! The jaw dropping price tag of Ford EcoSport has created ripples in the automotive world while Honda Amaze diesel, Honda’s first diesel car has already received huge bookings. 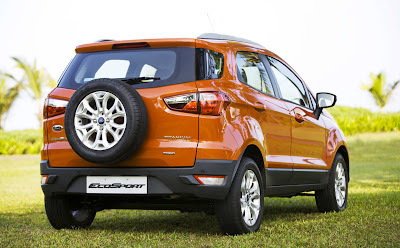 Will Ford Ecosport kill cars in all the segments? Will Ecosport replace all Dusters, i20s, and Hondas is the next big question. Ford Ecosport is a fun car, it’s sporty and will appeal youth and the best thing is - it comes with such low price tag while Honda Amaze is more family car, dull, boring personality. Honda Amaze has excellent fuel economy while Ecosport is extremely gorgeous. Ecosport has good ground clearance compared to Honda Amaze, Ecosport is better looking, it’s available in 10 variants and is capable of delivering a good mileage of 16.15 kmpl. 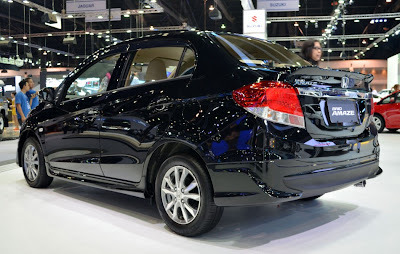 Honda Amaze is priced at minimum Rs. 4.99 lakh. Honda Amaze received rave reviews because of its name Honda however Ford Ecosport killed all its excitement with its surprisingly low pricing. Honda Amaze looks traditional while Ford Ecosport looks sporty and utterly delicious. Boot space of both these vehicle is almost equal however if you want your car to make a statement, Ecosport scores high in every department. When Honda Amaze was launched, Swift Dzire was in danger and now with the launch of Ecosport many cars like Duster, i20, Dzire and Amaze are in sheer pressure. Indian youth like bling, nobody wants to drive a similar looking car. You want to look different on the road. If you are a family guy looking for an affordable car, Honda Amaze may serve your purpose but if you want to make your presence felt, Ford Ecosport is the answer. It’s the next big thing in the automotive world and its truly Amazing (Pun Intented). Which is your choice – Amaze or Ecosport? -no 60:40 rear seat split.